Music Mondays are a time I get to share my favorite music and songs. Please feel free to share your own. My family and I have been attending a wonderful little church for the past six years. We were invited by our friends who happened to also be the teaching pastor and wife, and founders, of this new church plant. I fell in love with the church; the people, the teaching, the fellowship, the life groups – everything screamed that God wanted us there. As seasons come and go, our teaching pastor and his wife found that they were entering a new season, and so they decided that he should step down from the pulpit and focus on yet another project God had them begin. Being a person who relishes a tight nit family (and saw our church to be family), this was devastating to me. Not just because we were loosing such a wonderful teacher, but because a part of our family was leaving. The Christian Faith is Being Hijacked by Whom? 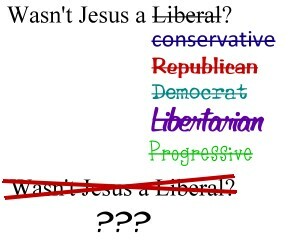 Can we fit the infallible Christ into our fallible political ideologies? The “People” are Courting a Collective Sociopath!